Home / Blog / Advice & Travel Tips / FAQ: Can I bring my walking poles? FAQ: Can I bring my walking poles? You can bring your walking poles to the Camino de Santiago; in fact, we recommend using hiking poles particularly if you are walking long distances. Walking poles will give you additional stability and support during your trek. They also transfer some of your weight from your lower to your upper body, making it a bit easier on your legs. Be aware, in order to take your hiking poles by plane you will need to pack them in your checked in luggage. If your walking poles can’t be folded or don’t fit in your suitcase, you can wrap them and check them in with your airline as sports equipment. Beware this might have an associated cost, depending on the airline you are travelling with. If in doubt, check with your airline and/or departure airport before your trip, their websites will give you a good indication of the items you can travel with and fees. In general, you will not be allowed to take your hiking poles as cabin luggage, for airport security reasons. 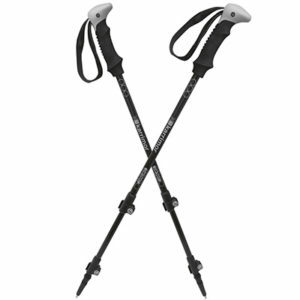 You might also prefer to purchase walking poles at your starting point. You will be able to find them easily in most medium-sized towns and cities on the Camino, particularly along the French Way and the busiest sections of the many Camino routes.